Toyota figures that when the 2016 Tacoma goes on sale on Sept. 10, the problem won't be selling the truck but building enough to meet demand. 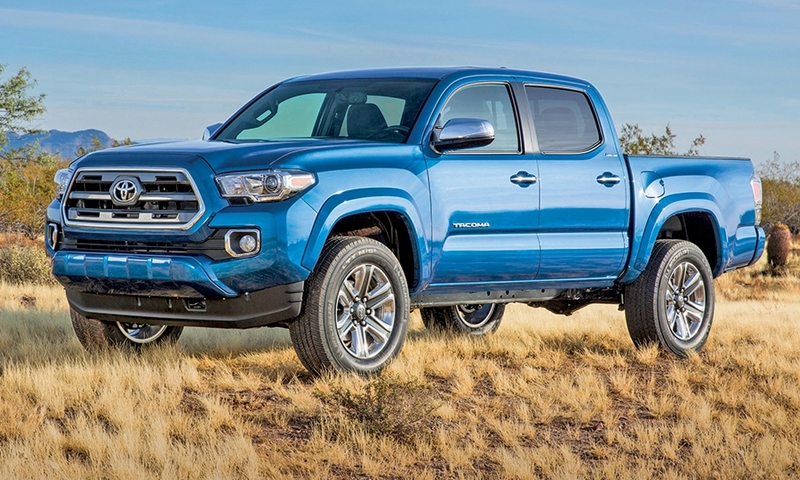 The Tacoma gets its first redesign in a decade. 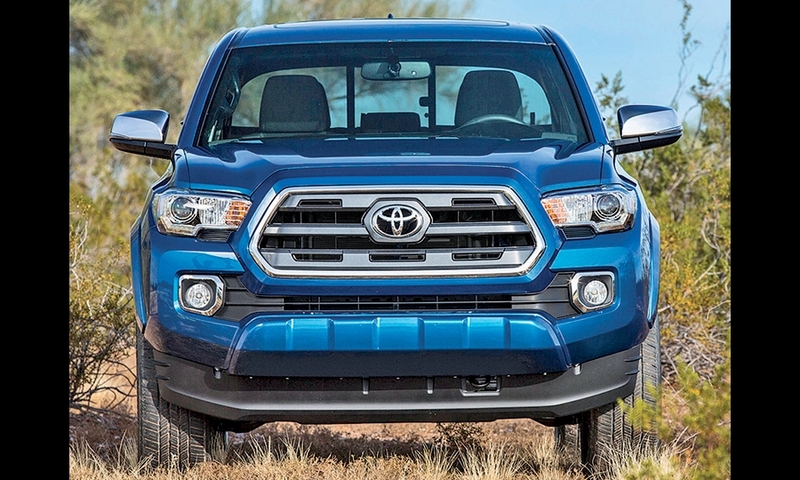 The 2016 Tacoma gets subtle styling updates inside and out. Toyota targets 165,000 annual sales of the pickup in the U.S.
CHICAGO -- Toyota's Tacoma is about to get dirty as it fends off new competition in the midsize truck segment. The 2016 model -- which has been overhauled for the first time in a decade -- is backed with a new campaign positioning the truck as the choice for dirt-bike racers, off-roaders, snowboarders, and other outdoor adventure seekers. 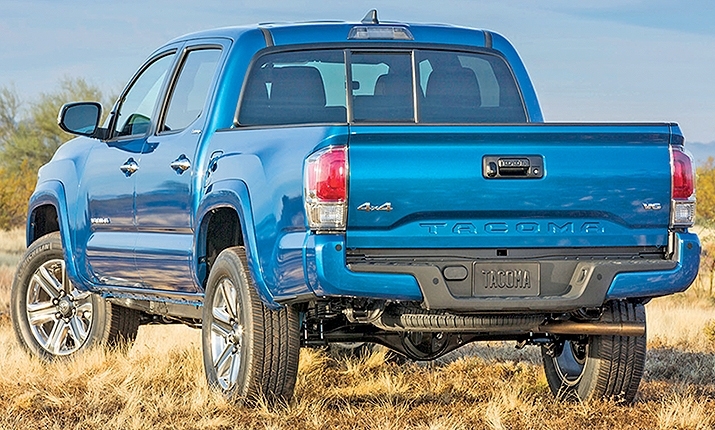 Tacoma, which leads the mid-size segment in sales, has long pushed the recreational angle. But the new campaign -- called "Play Now" -- accelerates the theme, while putting it under Toyota's broader "Let's Go Places" masterbrand effort. The ads will be supported with Tacoma's largest media investment in 10 years, executives said. The "play now attitude" is "a space we want to own and so we really amped that up in our launch spot and the truck delivers on it, so it's very authentic," said Cooper Ericksen, vice president of vehicle marketing and communications for Toyota Motor Sales USA. The campaign, by Saatchi & Saatchi, Los Angeles, will break in movie theaters on Friday and on TV on Monday (click here for videos). One ad, called "Blow Off Steam," shows Tacomas charging through an explosion amid a dusty and dirty California landscape as motocross riders speed alongside and leap over the trucks. The ad was shot in one take -- rather than splicing together various shots -- which required several tries to get just right, said Jason Schragger, chief creative officer at Saatchi. The other ad, called "Countdown," shows a variety of off-road scenes and touts a work-hard-play-hard mentality aimed at weekend warriors who might be 25-years old, but "still playing in the mud." The campaign is more "lifestyle focused" than previous Tacoma efforts, Schragger said. The brand, he added, wants to send the message to consumers that "we understand you. We know why you do this." Toyota executives declined to detail spending plans but said Tacoma would get its biggest ad investment in 10 years. Toyota spent less than $1 million in measured media on dedicated Tacoma advertising in each of the past two years, representing a tiny fraction of the more than $1.2 billion it spent annually across its car and truck portfolio, according to Kantar Media. Ericksen said Toyota placed its ad priorities elsewhere in recent years. Also, "demand has far exceeded our ability to produce the truck," he added. But Toyota has beefed up production of the Tacoma, which is assembled in Baja California, Mexico and San Antonio. New competition is coming from General Motors, which re-entered the segment last year by launching Chevrolet Colorado and GMC Canyon. An ad that debuted last year for the Colorado positioned truck-owning men as cooler than other men. The GM launches come as the total truck category continues to lead growth in the auto category thanks in part to lower gas prices. Colorado sales reached 63,232 vehicles year-to-date through September, according to GM dealer delivery data released Thursday. Year-to-date Canyon sales stood at 22,426. Toyota reported Tacoma sales of 133,672 for the same period, although monthly sales fell to 11,608 for September compared with 11,993 in September 2014. The 2016 Tacoma model went on sale Sept. 10 and carries a starting suggested retail price of $24,200, including transportation charges. 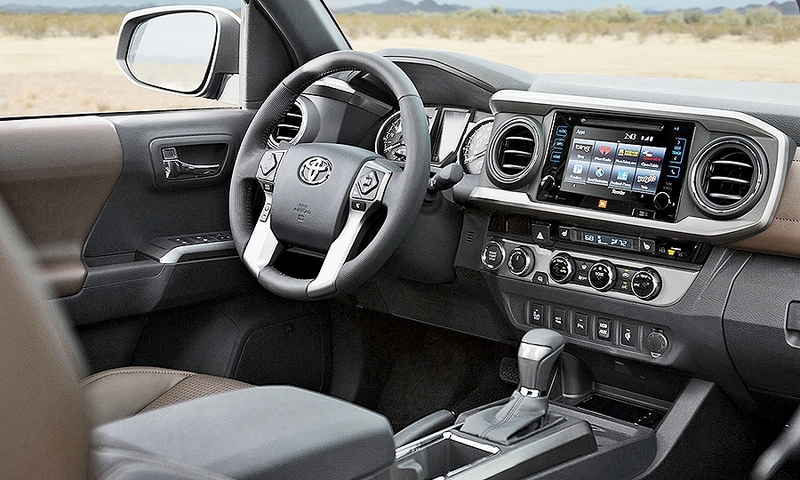 Upgrades include off-road technology such as "crawl control," which "takes over the acceleration and braking, allowing the driver to focus solely on steering," according to Toyota. Small touches aimed at adventurous buyers include a "GoPro" camera mount near that rear-view mirror that comes as a standard feature. For the "Blow Off Steam" ad, footage was collected from GoPro cameras mounted on the vehicles in the spot -- including the motocross bikes. The footage could be used in future marketing materials, executives said. With the campaign, "we really want to take the opportunity with this major [product] change to re-establish Tacoma for what it has been to its loyal owners over the past decade, and ensure that the truck-buying public understands what the Tacoma is all about," Ericksen said. He added that Tacoma is "not anticipating a big campaign like this [again] at least for the next four or five years." For more coverage from Advertising Age, an affiliate of Automotive News, click here.